This past weekend we helped some friends of ours tackle a few projects in their beyond adorable new house. 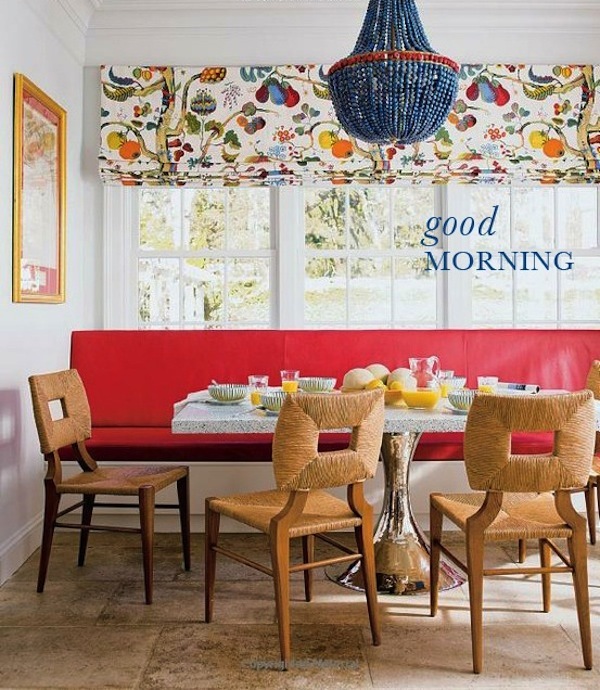 When I first walked in, I was like a moth to the flame about their dining nook. 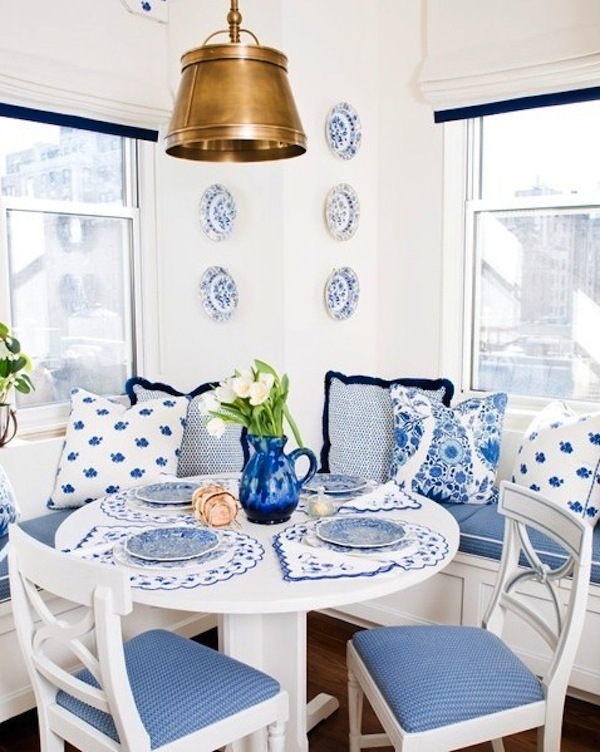 It's so cute, and got my brain jogging on all of those dining nook pictures I'm always tagging on Pinterest. 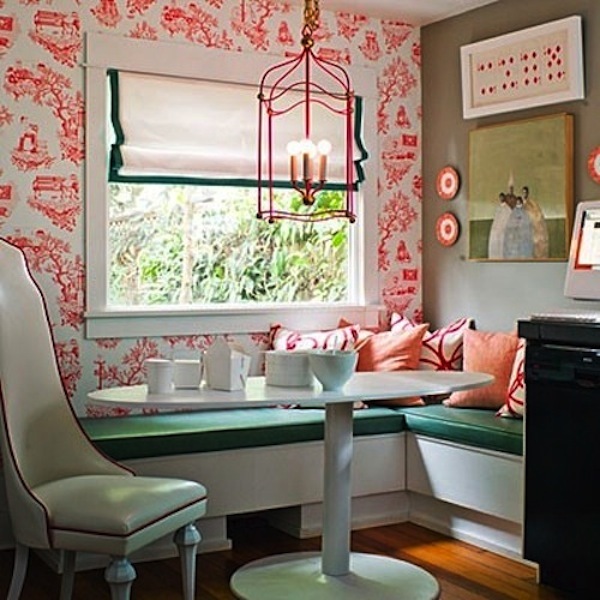 If there were a good place, I would have a dining nook stat. But I don't. 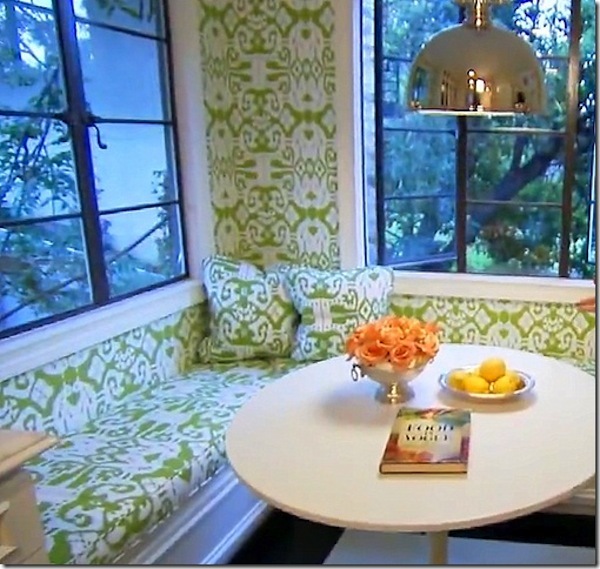 So, I can only hope that my sweet friends let me share with them all the ideas I have about that perfect white Saarinen table paired with a great printed fabric bench and pillows, roman shades, and bright chairs. Mary MacDonald is my fave. I adore how she did pattern on pattern on pattern here. 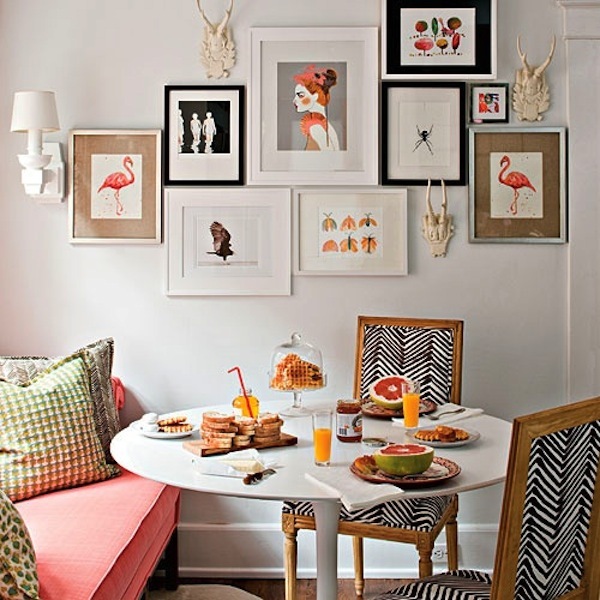 Love this post, those breakfast nooks are too cute! Have a wonderful weekend! 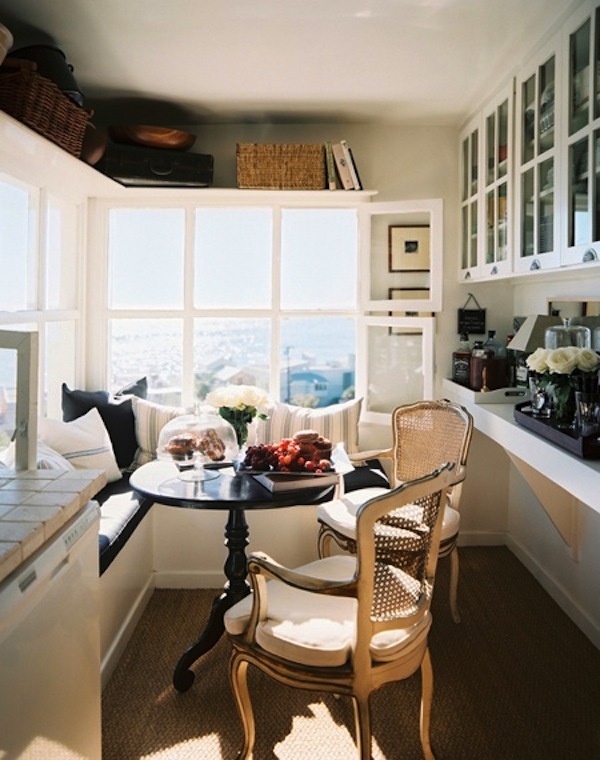 LOVE the last two nooks...they are soooo inviting! Have a great day.